Capital Locksmith has been providing standard and emergency locksmith services in London for more than 35 years. From simple key cutting to installation of the most advanced locking systems, we do it all. We're an integral part of the community, providing a 24-hour emergency locksmith service and additional services to meet the safety and security challenges of South London. We pride ourselves on our high quality carpentry and burglary prevention service, offering an attention to detail that meets the demands of every customer. At Capital Locksmith, our commercial services include installing and maintaining Master Key Systems across the capital, London. Our client base ranges from building management companies to offices, schools, retailers and government offices. We showcase a wide selection of high security locks and safes, as well as a range of DIY tools and hardware. 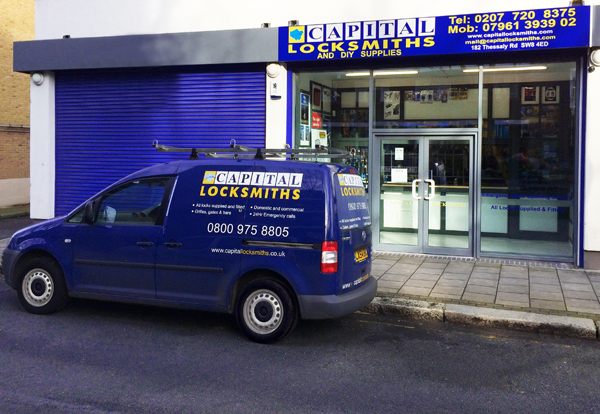 Our aim is to be more than just Capital locksmith - we are also your convenient DIY store.